Tassels are making a come back and we are not complaining. These 5 celebs show us how to incorporate them into our everyday style. Here are our 5 fave tassel looks. 1. Bonang opted for a white mini. Obsessed! 2. Thando Thabethe looks fab in this black jumpsuit. So chic! 3. Moozlie is owning this champagne mid-length frock. Gorg! 4. A two-piece in white shows off enough skin on Ayanda Thabethe and Amanda du-Pont. 5. 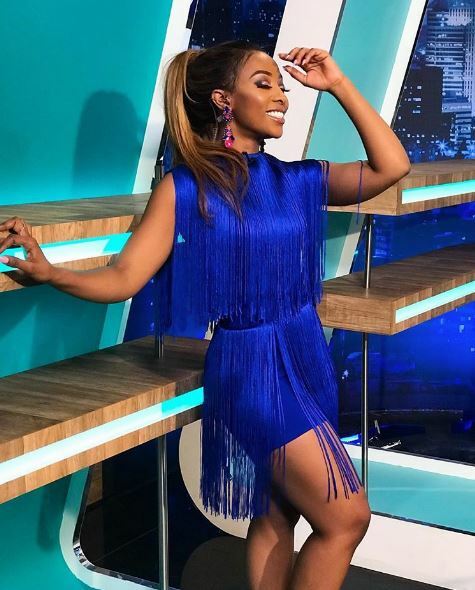 Pearl Modiadie is bold in blue. Beautiful.